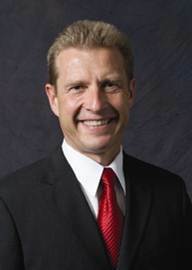 John Stevko, CPA graduated from the University of California at Davis. He began his career with Peat Marwick Mitchell & Co., before founding a local firm in Beaverton, Oregon. Specializing in taxation, John now lives and practices in the Pacific Northwest. John has been with Gear Up for 25 years. John is one of the preeminent tax speakers in the country. He presents seminars and webinars to thousands of tax professionals throughout the United States including some of the largest CPA firms. John is very concerned about the Affordable Care Act, with regard to what it requires of those professionals needing to work with it. He has a deep sense that many are lagging in understanding of both scope and content. He is excited to bring us this seminar, as he sees the importance in being out in front of what will more fully unfold starting January 2014. Even though this event is directed toward the professional accounting and tax community (there will be other tax legislation being discussed in addition to the Affordable Care Act), anyone having to know any part of the Affordable Care Act will find this event extremely valuable. You just won’t want to miss this opportunity to get in front of one of the finest presenters in the country, on this subject. Here’s what you will get in the Affordable Care Act Section………..
√ What are the compliance requirements? √ What choices are available? √ What needs to be done NOW? √ What will this cost – Employers, Employees, Individuals? √ How best to choose from the options available? Contact the hotel directly to make reservations by calling 1-866-700-1188 or 425-339-2000. Please make sure to mention the "Washington Association of Accountants 2013 Conference" when making your reservation to ensure you receive the discounted rate. Want to be a Sponsor or Exhibitor at the 2013 Educational Conference?